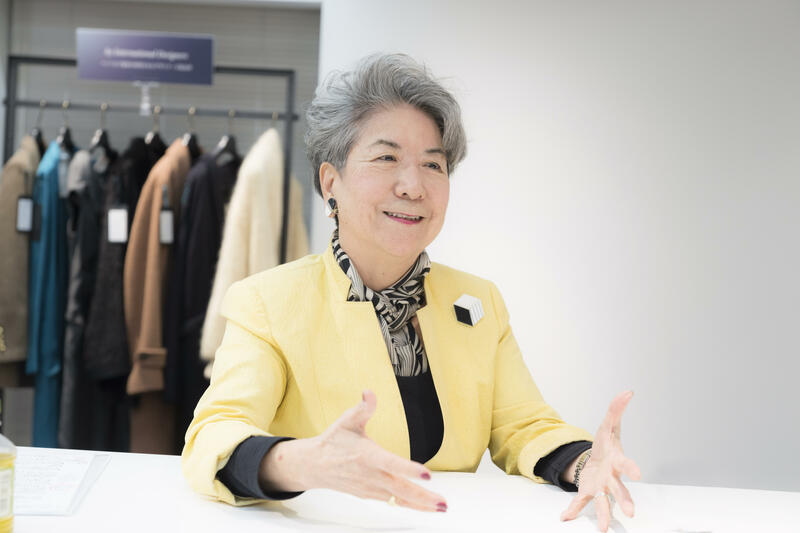 A leader of the Japanese fashion industry in its early days, Yoko Ohara speaks about her thoughts and the hopes she wants to share in the major revolutionary period currently taking place. 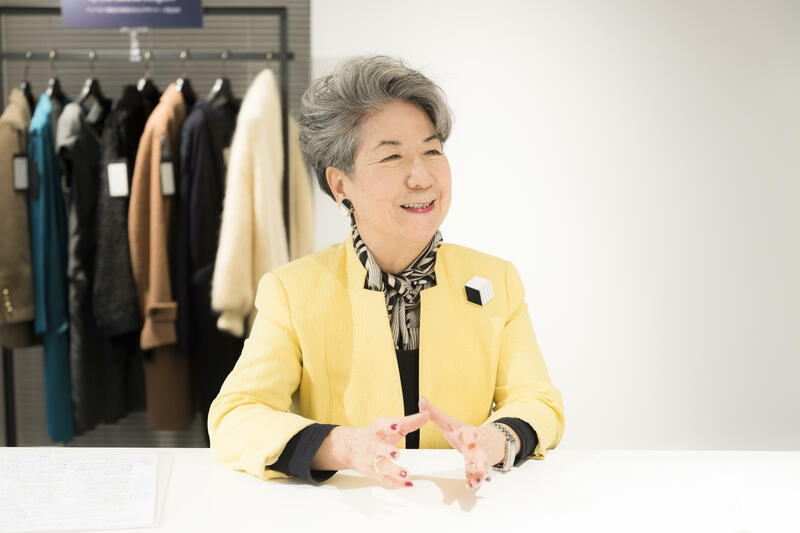 The first person to introduce the concept of "fashion business" to Japan, Yoko Ohara has devoted herself to the development of the fashion industry and the cultivation of its human resources. In this interview, she talks about her path to date and her thoughts on the future of the fashion industry. Youth ambition to work for society and build a careerMy mother was an English typist. I admired her because she was stylish and beautiful, and so I wanted to do work that would be beneficial to society as well. When I was a high school student, I went to Minnesota to study as an exchange student on the AFS Intercultural Program. While there, I was greatly inspired by the spectacle I witnessed; there were women working while leveraging their expertise and skills. Back then, there was a fixed idea of working women in Japan: using male language while wearing no makeup and with disheveled hair. I mean, they had to be like that. I was therefore impressed to see those working American women, and I learned that women can work energetically without sacrificing their femininity. After I returned to Japan, I entered and graduated from the University of Tokyo, and I then joined Asahi Kasei Corporation. At that time, the majority of private companies did not recruit women with bachelor's degrees, but a series of happy coincidences occurred for me. Back then, Asahi Kasei was struggling to sell its proprietary Cashmilon acrylic fiber. The company began to realize that the success of this fiber appeared to be greatly influenced by the fashion trends, which men did not know much about. The sales department then asked the HR department to hire a woman who loved fashion and could coordinate the engineers, salesforce, and designer/creators for product development. Through a lucky accident, I visited the company at this exact time to complain to one of my college seniors, who was working at Asahi Kasei, that women were not being hired. "If you really want to work, this might interest you," he said, introducing me to the position. I said, "If I am entrusted with responsibilities, I would love to do it." And I accepted the offer. Immediately after joining the company, I worked on product development in the sales department. I read every single trade magazine, wrote reports, attended a dozen seminars, and developed new products one after another. The job was fun. I remember that when I took the acrylic filament yarn called Pewlon to designer Issey Miyake's office to make a sales pitch, he liked the yarn, and it was used in the Paris Collection. Meanwhile, my male colleagues who had joined the company at the same time as me were steadily moving up in their careers, while I stayed more or less in the same position. After three years had passed, I began to think that it would be difficult for women to play a central role unless we did something that men could not do. I secretly took an exam for a Fulbright scholarship in order to study new concepts in the United States, such as merchandising and styling. I told my boss that I had passed the test and decided to quit my job, and fortunately he told me that I should take a leave of absence instead. I therefore went and studied at the Fashion Institute of Technology (FIT) in New York while keeping my job at the company. Encounter with the concept of "fashion business" At FIT, a series of discoveries and insights broadened my perspective. The first thing I learned there was that "fashion is business." "Even though a famous brand's new look may attract fabulous attention, whether it has gone through a cashier or somebody has paid money for it is more important." In other words, fashion must be accepted by a large number of people in order to work as a business, otherwise it is not possible to maintain inventory, buy fabrics, or hire people. In the United States, unpopular items are often marked down in order to clear the stock and turn into cash. I was taught, "Go and look carefully at what is hanging on the markdown rack. You must identify the difference between what trendy magazines and trade journals are picking up and what consumers are actually buying in terms of color, fabric and design; otherwise you will not be a successful businessperson." 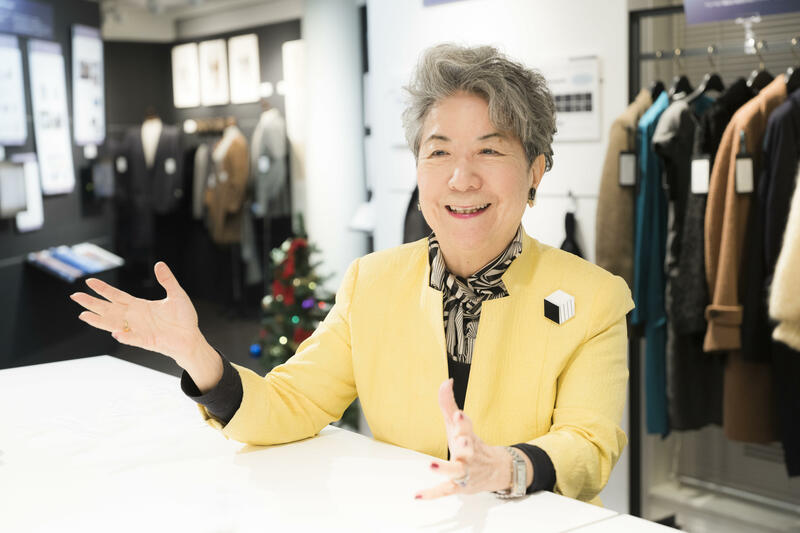 Back then in Japan, where even ready-to-wear clothes had not yet penetrated, it could hardly be imagined that fashion and business would be linked together. I was shocked to learn that fashion, which I thought was a gorgeous dream world, was in fact a dreadfully severe, realistic business. For the 10th anniversary of Cashmilon, I was asked for an idea for the commemorative project. I suggested the publication of a translated version of Inside the Fashion Business, a book written by my former teacher and my mentor. I wanted to introduce Japan to the concept of "fashion business," which gave me such a huge impact at FIT. My boss' response was, "Well, it sounds interesting, but what on earth is the fashion business?" Even after my proposal for the publication was approved, my boss called me and said, "Are you sure that publishing this book as a commemorative project will not put the company to shame? The director needs your final confirmation." It took me three days and nights to reply. It would have been much easier to avoid the risk by saying, "Okay, it's safe not to do it." But could I really be allowed to abandon this idea because of my personal fear? At that time, the Japanese textile industry was in decline due to the rise of its Korean and Taiwanese counterparts. I thought that there would be no future for the Japanese fashion industry unless the ready-to-wear market grew. I had nobody whom I could ask for advice; I had to make a decision myself. Three days later, I replied to him with simple one sentense, "It will bring no shame on the company." I was ready to race across the country to explain what was written in the book if the book was not successful or received a bad reputation. Looking back at my entire career now, I would say that this was my biggest commitment. In 1968, the book titled The World of the Fashion Business (Toyo Keizai Inc.) was published. Obstacles to the Japanese fashion industry today The book was given to many people and sold to the public, and it was rewarded with a great response. Isao Nakauchi, the founder of Daiei, whose work created a sensational revolution in retail/distribution industry, said, "This is a great book. Do not just distribute them; you must also hold a seminar for the industry." Partly because of his encouragement, we launched the Asahi Kasei FIT Seminar, which would then continue for 28 years. The seminar was started in 1970. It was a four-week seminar, at which several speakers invited from FIT gave lectures through simultaneous interpretation. It was a very costly, yet revolutionary attempt. In the early days, a lecturer spent an hour and a half solely on defining what fashion is. All the professional courses that we offered during 28 years of this seminar series, including pattern making, marketing and styling, were brand-new concepts for the participants. The entire industry learned a lot and started to open their eyes to the world. Coupled with the rapid economic growth, it accelerated the progression of the Japanese apparel industry in the 1970s. It was very rewarding and meaningful work for me, because I was in charge of planning the seminar. Despite all the growth we had seen, I think that the 1970s was a "lost decade." Yes, fashion became available to ordinary people, and apparel companies made money from it. In this period, however, the Japanese apparel industry failed to take time to nurture in-house designers and brands in order to build the foundation. They instead chose to sign license agreements with brands around the world to operate quick, easy business by using products of "borrowed ideas" from others. They hardly provided any support for developing the Japan-originated DC brands (DC stands for "Designers" and "Characters") that made their debuts in the 1980s. It was not long before the bubble economy collapsed, and the Japanese retail industry entered an era in which "nothing sells unless the price is low," known as price destruction. Since the beginning of the 21st century, we have experienced major paradigm shifts, mainly due to the remarkable advancement of technology. Who could have imagined that consumers would be able to readily obtain information via smartphones? It is no exaggeration to say that the Japanese apparel industry, which nevertheless cannot free itself from its past success, is not even one but two or three laps behind the rest of the world. I have a strong sense of crisis in such a situation. With the feeling "I cannot finish my career by leaving this unchanged," I have spent four years writing a book titled Fashion Business: Creating the Future. If we make a move now, it won't be too late. We have many talented young creators in Japan. If we can leverage our unique culture, which values coexistence with nature, with our acute sensitivity, technical capabilities and excellent materials, all nurtured in this culture, I believe that new possibilities for the future will be sure to open up. I had a hard time writing this book. Because the essence of the fashion business lies in changes, I had to write while chasing a "moving target." As a result, I had to rewrite many parts over and over again. I hope that a lot of people will read this book and think about what actions we must take in the major revolutionary period of the fashion business today. "Know yourself and others" - The key to international-mindednessDespite the accelerating pace of globalization in business activities, it is said that increasingly fewer young Japanese people are studying abroad. You might think that the Internet will tell you everything.? No, you cannot really know something unless you go there and experience it yourself. The air, smells, food, and especially the way people think are all different. To be a businessperson who can work internationally, do not think that you understand something through the virtual world; I would like you to go abroad to really experience it. As for myself, I learned and noticed a lot of things through my experience studying abroad and the American way of thinking. What surprised me the most was the American professionalism. Once they discover their particular strength, they make a great effort to deepen their expertise, rather than learning shallowly and widely. They have established even narrower specialized areas, in which people called "professionals" in each field are competing with each other. I was inspired to see how vigorously they make efforts to build up their careers, which pushed me to be like them. It was also refreshing and stimulating to encounter the concept that being different from others is a good thing. While I was studying abroad in high school, one of my friends looked at my clothes and said, "That's so different!" almost every day. It distressed me because I thought she was belittling my clothes, calling them "strange." My homestay sister, however, told me, "That's a compliment." I was still unsure about it during high school, but I finally understood what she meant at FIT. As long as you do the same thing as others, you might become a follower or might be compared against them. Americans therefore highly value how different they can be from others in order to leave their own mark. No matter where you go, every country has its own distinct history, customs, climate, culture and way of thinking. When I go overseas on business, I always make sure that I respect them. It is also important to be prepared to talk about your own country, history, and culture. If you are unable to do this, you will not be seen as a respectable adult in the world. Time to fulfill corporate social responsibility with the business itselfIn the future fashion business, the perspective of sustainability will become increasingly important. As I wrote in my book, the idea that corporate and business activities themselves should focus on reducing the environmental burden is one of the biggest trends today. In 2015, the United Nations announced the Sustainable Development Goals (SDGs), a set of 17 goals, including "End poverty in all its forms everywhere" and "Ensure the availability and sustainable management of water and sanitation for all," on which progress is evaluated annually. This is an approach that attempts to reduce the burden on the environment and human beings as much as possible in terms of work methods and business activities and create a world of truth, goodness and beauty in an ethical, clean and appropriate manner. Conventional CSR (corporate social responsibility) initiatives have sought to contribute to the environment and people of the world through activities that are separate from the core business, such as planting trees or sponsoring the building of a concert hall. Obviously, those initiatives are admirable, but emphasis is now shifting to the importance of the business itself in terms of minimizing the environmental impact as much as possible and helping to solve social problems. In this sense, Asahi Kasei is highly committed to successfully reducing the environmental burden with Bemberg and its manufacturing process. Bemberg is made from cotton linter, which is normally not used and is disposed of. What I would like to expect from Bemberg in the future is to devise how Bemberg after use can be fully recycled. If the company can achieve this, I think it can proudly claim that it has accomplished the UN 17 goals. As a former member of Asahi Kasei, I am very proud of Bemberg. I hope it will continue to grow and evolve. Outside Director, AOKI Holdings Inc. 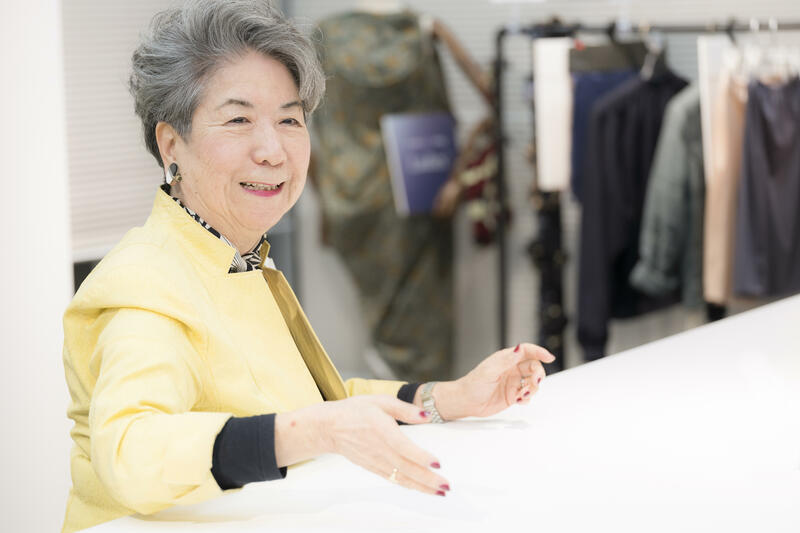 In 2009, Ohara received a Lifetime Achievement Award from FIT and the Mainichi Fashion Grandprix/Amiko Kujiraoka Award from The Mainichi Newspapers. In 2003, she was Harvard Club of Japan's Businessman/Businesswoman of the Year.